Sea Watch is the place to be this summer, and all of the exciting activities and events we have planned are guaranteed not to disappoint. You can expect everything from live entertainment, DJ pool parties, daily kids’ activities in the morning, and more. We’re giving you the scoop on Sea Watch’s summer activities and entertainment to make planning your vacation a breeze. Get ready to party poolside every Tuesday from 1-4pm and Thursdays from 12-3pm with Chris James at the DJ pool party. Splash around in the pool, find yourself a lounge chair to relax on, or grab a drink and a bite to eat from the pool bar while the DJ spins some of your favorite tunes. Enjoy live entertainment from the house band every Monday and Wednesday at Sea Watch from 5-8pm. You can expect an amazing performance by Emily every Monday night and on Wednesday nights, Grady will take the stage. These events and activities are sure to be the icing on the cake to your Sea Watch vacation. 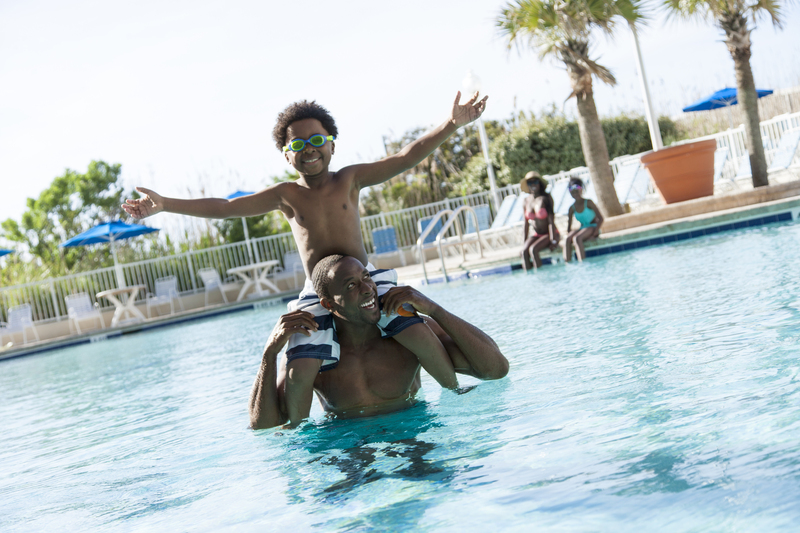 Don’t wait to book your summer Myrtle Beach getaway and be sure to check out all of our great deals before you do.